1. Share a link to your club list. You can find my evolving list here. 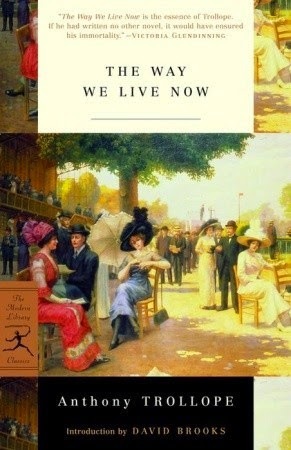 I joined the club April 15, 2012 and have read 26 classics since then. I just finished The Hotel by Elizabeth Bowen. It was well-written, but a little too slow for my taste. Up next is They Were Sisters by Dorothy Whipple for the Classics Club spin. Do I really have to choose just one? Narrowing it down to three is the best I can do..
7. Book you most anticipate (or, anticipated) on your club list? Probably An American Tragedy... it had been on my shelf for 35 years! Crime and Punishment... quite possibly the Russians in general, and you probably know why! Black Beauty, I loved that book as a kid! 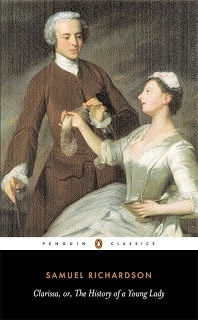 Clarissa by Samuel Richardson (and famously failing my own readalong), but maybe this doesn't count because I never actually finished? The Count of Monte Cristo is probably the longest classics I've read, and The Way We Live Now by Anthony Trollope is the longest book left on my list. I have no idea what the oldest classic I've read might be, but think Emma by Jane Austen may be the oldest one on my list. 14. 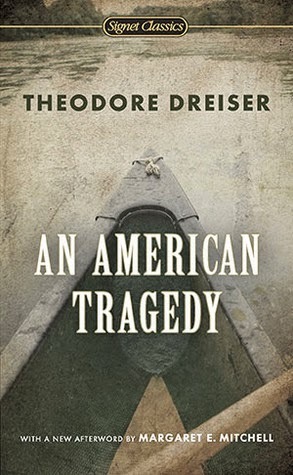 Favorite biography about a classic author you’ve read — or, the biography on a classic author you most want to read, if any? 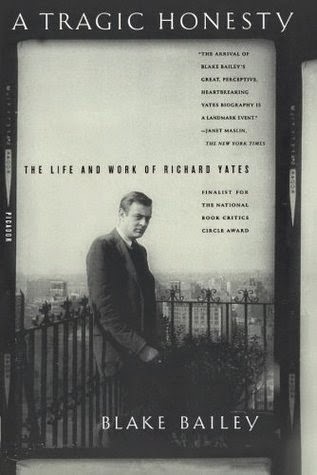 The best author biography I've ever read is A Tragic Honesty: The Life and Work of Richard Yates by Blake Bailey. 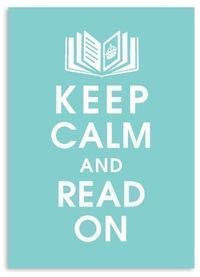 I think many readers rebel when told they SHOULD read something, at least I did. I love my leather-bound Easton Press edition of Pride and Prejudice. There are far too many film adaptations I have yet to see, so I won't suggest more. The Red Badge of Courage by Stephen Crane.... so boring! Buddenbrooks by Thomas Mann... because Bellezza loved it. 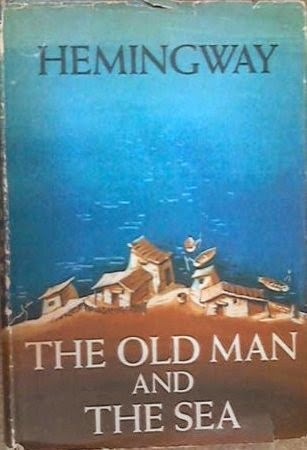 The Old Man and the Sea - I hated it in high school, then couldn't believe it was the same book when I read it a few years ago. 24. Which classic character most reminds you of yourself? I'm okay where I am. 27. If a sudden announcement was made that 500 more pages had been discovered after the original “THE END” on a classic title you read and loved, which title would you most want to keep reading? Or, would you avoid the augmented manuscript in favor of the original? Why? My list is evolving, so I'm constantly adding titles. I wouldn't attempt this without already "knowing" the author, but it might be a good way to approach Henry James. I have five rereads on my list, but have not read any of the yet - Tender is the Night by F. Scott Fitzgerald, Howards End by E.M. Forster, The Winter of our Discontent by John Steinbeck, Crossing to Safety by Wallace Stegner, and Pride and Prejudice by Jane Austen. I'm most looking forward to The Winter of our Discontent. Can I put off the Russians for another year? The feeling of community, definitely! 44. List five fellow clubbers whose blogs you frequent. What makes you love their blogs? Classics are always better with friends! I've participated in quite a few readalongs, but two that stand out in my mind are North and South by Elizabeth Gaskell and Vanity Fair by William Makepeace Thackery. Forever, really. I loved classics as a child and that has continued through my adult life. I even owned a Classics group on Yahoo before blogging. I really like this post! I happen to struggle in reading classics too. 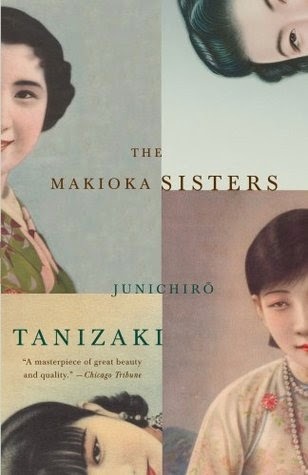 Even though the English is quite difficult compared to modern novels, but I think classics get their own charms and sometimes narrate what happens in life better than modern novels. Thanks for sharing and visiting my blog, JoAnn! You've inspired me to get going on my own list! I'm trying to limit my review books next year so that I actually have reading time to get the classics in. I think I'll skip Clarissa though. And you can have my share of Russians. I got enough of that in high school! Though in all honesty Crime and Punishment is one of the more comprehensible ones. Katherine - Review books and new releases are SO tempting, but in my heart I love backlist titles and classics. I've done better with review commitments this year, but have also read more new releases than ever. I'm still happy with my reading this year. 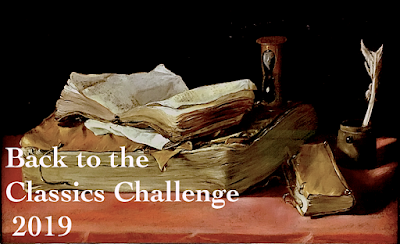 Thanks to your post I've resurrected my Classics Club reading list! And I actually BLOGGED about it. I think about Hardy's Tess quite often myself. That book is so grey and depressing, but I love it so. 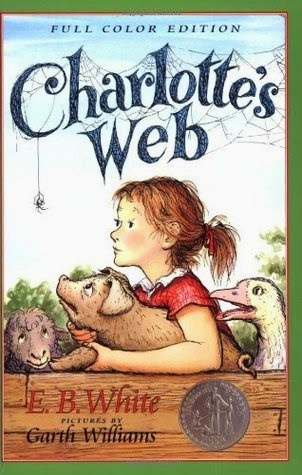 And Charlotte's Web? Oh, my heart. Love that children's book. I read Tess for a Classics Club spin last year and cannot believe how much of it has stayed with me.... such a good book! Hope to read Far From the Madding Crowd before too much longer. I share your avoidance of the Russians - I have had The Brothers K staring at me for ages and still haven't picked it up. Enjoyed reading your answers - fun to look back at the journey. This is a fun post. 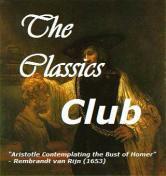 Everything you've said make me want to take part in the Classics Club, too! Have you tried the audiobook of Clarissa? Richard Armitage (the actor) has such a lovely voice . . .
Well done on making it through the fifty. I made it through Vanity Fair this year, and though it hasn't become a favourite I'm glad I did it. Fleur - I felt the same way about Vanity Fair. Although I enjoyed the book, the readalong experience was more enjoyable. I've never even heard of The Winter of Discontent. I'm definitely not up on the Steinbeck backlist, apparently. For the life of me, I cannot get interested in reading Thomas Hardy, despite hearing clues such as from this post that Tess of the D'Urbervilles is worthwhile. Re: your reread of the Old Man and the Sea. I've been astounded by how differently I respond to a book that I originally read in high school. Books I was bored by, or disappointed in, when I was in high school and I just adore them now: Sarah Orne Jewett's Country of Pointed Firs, Jane Austen's Northanger Abbey, Nevil Shute's A Town Like Alice. Christy - I've never been interested in Hardy either, but Tess was a Classics Club spin selection for me and I still can't believe how deeply it moved me. Will definitely read more Hardy now. As far as those high school reads go, after such remarkable experience with The Old Man and the Sea, I am seriously considering a "rereading high school" project. The Winter of Our Discontent is first on the list ( I loved it then, but probably didn't catch the full meaning), followed by Tender is the Night. I've never read Country of Pointed Firs or A Town Like Alice... both are on my list. 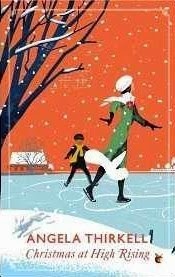 Cynthia - I can't think of another author where my opinion shifted as dramatically as it did with Hemingway... definitely wasn't a fan in my younger years! 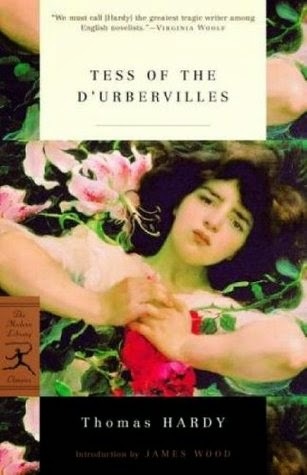 Oh man, Tess of the d'Urbervilles is on my TBR list for next year. I'm both scared and excited to read it. Melissa - Tess changed my idea of tragedy... brace yourself! One of my BFFs favorite authors is Hardy and I read Tess - need to read another. Want to readalong on Madding Crowd? I'd be interested in the Trollope, too. I read Old Man and the Sea with a book club about 15 years ago and we all hated it. again. too funny. Is there a calendar to the Classics Club? I need to do better to be involved with it. I have really been a Classics glutton lately. Care - The idea is to make a list of books and read them in a 5 year period, but it's pretty laid back. My list is constantly changing (I call it evolving!) and it's not like anybody is enforcing rules. The purpose is just to have fun and read more classics! Stacy - If I've learned nothing else during my time with the club, it's that classics are even more fun with friends! I'll keep an eye out for your list. Ha. I have had some difficulty with the Russians too. I approached Anna Karenina very slowly and then once I fell into those crazy names and who was who, I quite enjoyed myself. I have read the first few pages of War and Peace what seems like a hundred times, and I have had much more of a problem.